Independent game developer Impact Gameworks recently announced its dungeon crawler Tangledeep game has reached its Kickstarter funding goal within the first week. The current totals are currently now at over $16,500 in pledges, with over 560 backers. There are 20 days left from now, to reach its 30,000 in stretch goals. Tangledeep harks back to the 16-bit golden age of role-playing games, drawing inspiration from the famed classics including Secret of Mana, Chrono Trigger. The gameplay is strategy focused turn-based gameplay. The game’s dungeon is ever-changing and presents a variety of challenges for the player to figure out. The character job system and a plethora of equipment options offer a fresh experience and gameplay in every session. The Tangledeep in-game music soundtrack will feature two styles for the player: a retro 16-bit version, and a modern version with orchestration and live-recorded instrumentalists. Its main music is by Andrew “zircon” Aversa, the sole programmer and designer for Tangledeep. Also, guest contributions will add to the overall soundtrack, including legendary composers Hiroki Kikuta (Secret of Mana, Seiken Densetsu 3), Grant Kirkhope (GoldenEye 007, Banjo-Kazooie and the upcoming Yooka-Laylee). 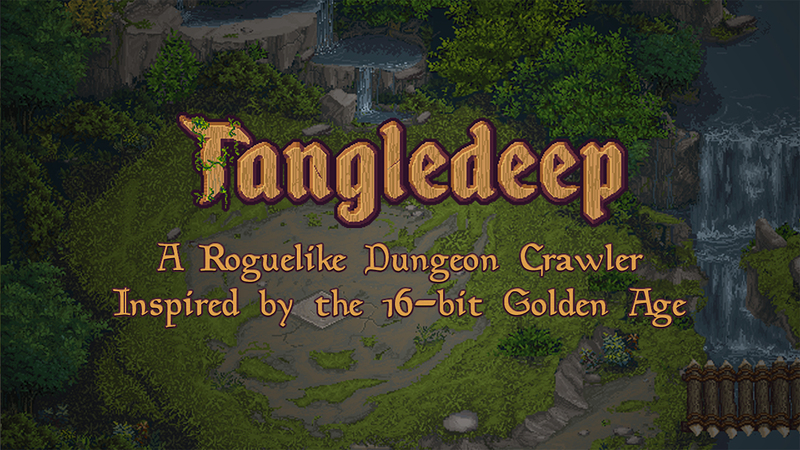 See the trailer here for more info on Tangledeep and its creator. The game release date is not yet announced, through the Kickstarter page projects the 2017 holiday season. For more info and continuation of the currently active Kickstarter, visit the official page here.